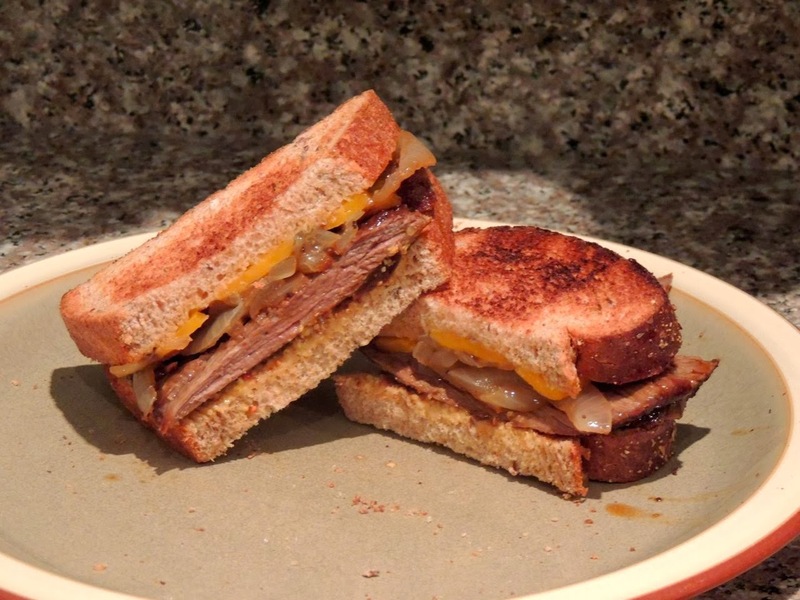 Sometimes, nothing's better than a steak sandwich. 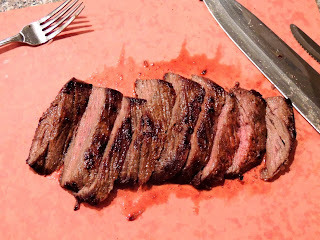 My husband recently bought skirt steak, and we had just enough for each of us to have a mouth-watering sandwich with a side of Baked Sweet Potato Fries. We were so impressed at the delicious flavor, and it was so easy to prepare! Treat yourself to this delicious meal tonight! Spray a frying pan with Butter Flavor Pam. Add onions. Cook until caramelized. Meanwhile, spray another frying pan with Butter Flavor Pam. 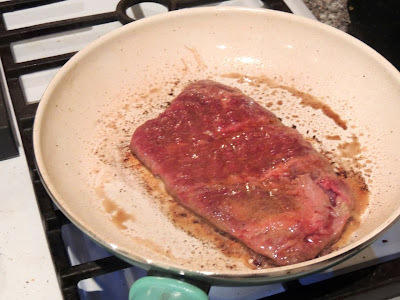 Heat to medium-high, enough so that the meat is immediately seared. 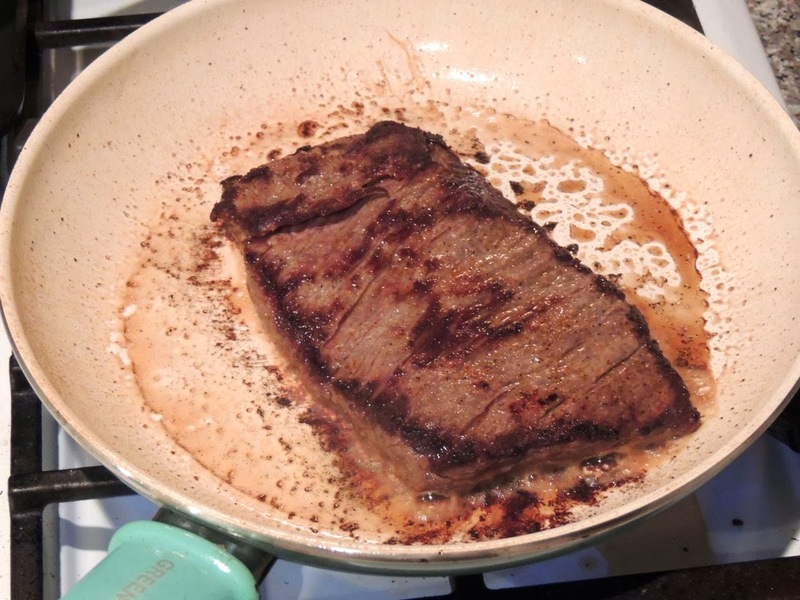 Sprinkle the steak with TexJoy on one side. Put the steak in the pan seasoned-side down. Then season the other side with TexJoy. Cook about 3-minutes on each side for medium. Adjust cooking time depending on whether you like your steak rare or well done. Remove from pan and put on a cutting board. Let the steak rest for 5 minutes. Meanwhile, toast your bread and spread half of the mustard on one side of two pieces of bread (one for each sandwich). Put the bread mustard-side up on two plates. Top each piece of bread with 1 oz cheddar and half of the onions. Cut the steak diagonally in about 8 slices. Put about 4 slices on each sandwich and top with the remaining toast. Flip the sandwiches over so that the cheese and onions are on top, and cut in half.